Seat comprised of lightweight foam. 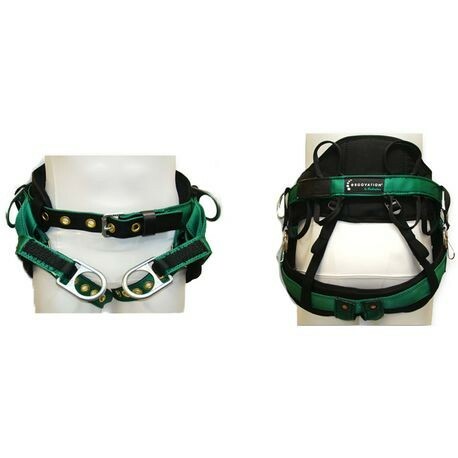 Wide leg straps help distribute pressure on the users' legs snap hooks. Web loops stitched to the suspension strap seat for those who prefer carabiners, eliminating cross loading.